This season’s animal print is done in a fresh spice hue on this short-sleeve top. This season’s animal print is done in a fresh spice hue on this short-sleeve top. 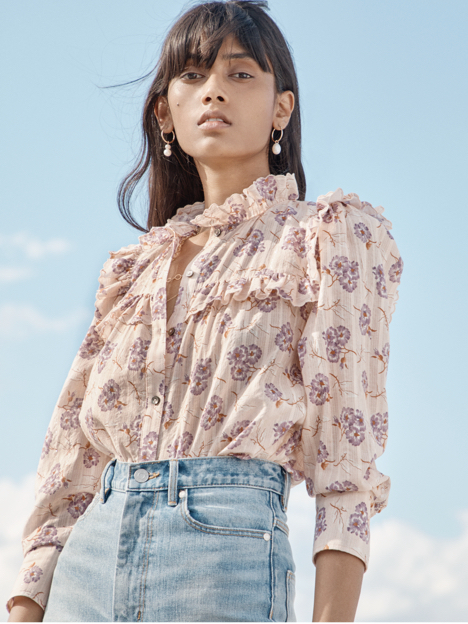 Its statement-making silhouette is defined by a bateau neckline, puffed short sleeves and a fitted body that tucks in easily to skirts or jeans.